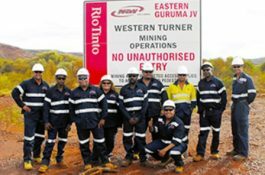 The joint venture between Eastern Guruma and ESS involved a 10 year facilities management contract of several Rio Tinto Accommodation Facilities. These facilities included Tom Price and several accommodation facilities within the area, namely Punurunha, Brockman 4, Nammuldi, Windawarri and Jundunmunnah. The Western Turner Brockman Project comprised of simultaneous works in two separate locations 45 kilometres apart, carried out by a joint venture with NRW. 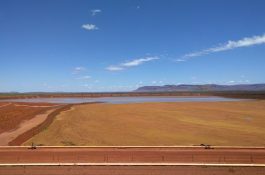 The first component involved bulk earthworks required for 16 kilometres of overland conveyer from the Western Turner Syncline mine to Tom Price. This involved 7 million cubic metres of earthworks. 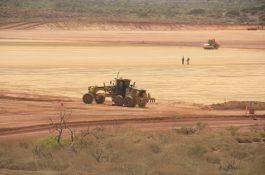 The second component of the Project was civil works at the Brockman 4 Mine, which comprised of haul roads, ROM and ROM wall construction, access roads and earthworks preparation. This component also included 7,000 cubic metres of concrete. 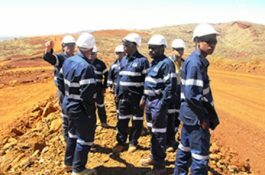 Together with NRW, Eastern Guruma undertook concrete and civil works at Rio Tinto’s Western Turner Syncline Mine. Running over roughly 82 weeks, the Project demanded a peak workforce of 225 personnel. Scope of works included installation of approximately 21,000 cubic metres of concrete for primary crusher, overland conveyor and plant utilities. The Project also included erection of a corrugated steel arch, minor earthworks, fencing and bollards. Scope of work for delivery of this Project involved the upgrade and expansion of gravel runway at Rio Tinto’s Boolgeeda Aerodrome. Together with NRW, Eastern Guruma carried out over 300,000 cubic metres of fill to construct a 2.2 kilometre by 45 metre wide bitumen sealed runway. The Project also involved a new taxiway and apron, serviced by a new access road and car park. 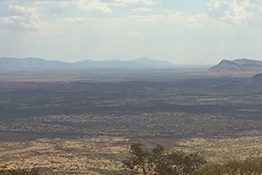 The Solomon Pre – Mining Development Works were undertaken by a Joint Venture with NRW, Eastern Guruma and Ngarluma Yindjibarndi Foundation Limited (NYFL). 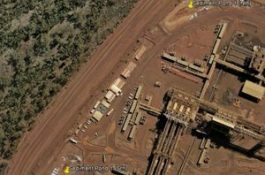 The JV was initially awarded Solomon Phase 1 for works to supply labour and equipment to complete bulk earthworks, drill & blast and culvert installation at Fortescue’s Solomon Mine. In addition to the initial contract we were awarded temporary Magazine areas and construction of the LV1 access road. 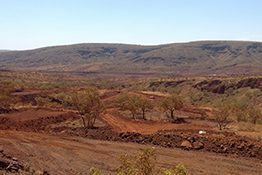 The Eastern Guruma and NRW joint venture was contracted to complete bulk earthworks at Rio Tinto’s Nanmuldi Below Water Table (NBWT) Project. 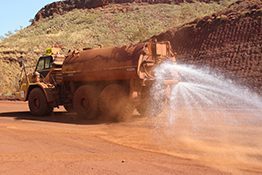 NBWT required earthworks for the processing plant, waste fine storage facility, stockyard, mine service facilities, an explosives compound, heavy vehicle haulage roads, light vehicle roads and a rail link with train loading facility. Eastern Guruma in joint venture with NRW undertook the concrete and civil works at Western Turner Syncline Mine. 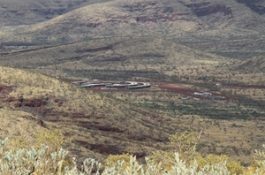 In a joint venture with Viento and Wirlu-Murra Yindjibarndi, Eastern Guruma was awarded the contract for construction of the Tailings Storage Facility at Solomon Mine. With a peak of 94 personnel, the Project involved construction of a 1.9 million cubic meter compacted wall, to enclose tailings in a V-Shape against the existing gully landscape. A decant pipe was fitted along the base of the wall and rock amour protection was installed. Upon completion, 12 twin powered scrapers moved 25,000 cubic metres of compacted dirt in a quick 24 hour period. The team successfully completed the Project in 5 months with an exemplary safety record. The Solomon Early Mining Works were undertaken together with NRW and Ngarluma Yindjibarndi Foundation Limited. 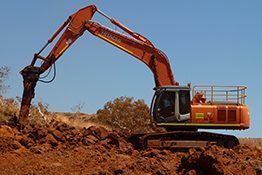 Initial works awarded involved the supply of labour and equipment to complete bulk earthworks, drill and blast, and culvert installation at Fortescue’s Solomon Mine. In addition to the initial contract Eastern Guruma were awarded temporary Magazine areas and construction of the LV1 access road. A total of 80 pieces of major mining fleet were based at Solomon, with a manning capacity of 450 people. Total volumes moved throughout the job averaged 1,000,000 BCM per month. The Western Turner Brockman project comprised of simultaneous works in two separate locations, approximately 45 kilometers apart and was carried out by the Eastern Guruma and NRW joint venture. Eastern Guruma established a 50/50 partnership with NRW, to complete initial mining works at Western Turner Syncline. Scope of works included the design, development and operation of the total mine and road haulage services. At its peak, approximately 450 personnel were located on the Project. The Project involved mining of ore which was hauled to the Western Turner ROM pad, utilising a fleet of 1,500 dump trucks. Ore was then hauled to the Tom Price Mine, via a 15 kilometre purpose built road, using a fleet of four 350 tonne pit haulers. The Project demanded mining of approximately 500,000 BCM per month, to achieve the 6 million tonne per annum target. Eastern Guruma completed repairs of the existing Sediment Ponds at the Solomon Mine. Scope of works involved with the delivery of this Project included floor and wall repairs, along with replacing of the liner. 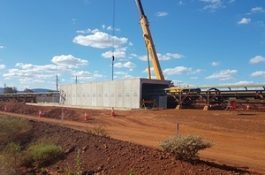 Eastern Guruma and Brierty completed a partnered project at the Marandoo Mine for Rio Tinto, to undertake construction of a Waste Fines Storage Facility. The Project comprised of bulk and detailed earthworks, modifications, extensions, dismantling and reinstating of underdrainage plant and equipment, waste fines, decant pipework relocations and pumping systems. Eastern Guruma provided plant and equipment to the Project, including management personnel and project operations support. 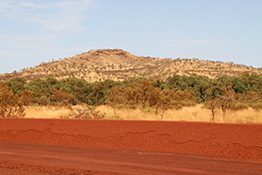 Sourcing Aboriginal candidates for the Project, Eastern Guruma encourages further development of Aboriginal people within the civil and mining industry. 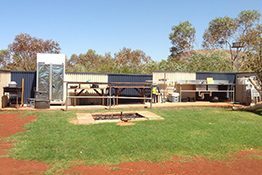 Eastern Guruma partnered with Morris Corporation to provide facilities management at Kangi Camp, located within the Solomon Mine. This Project provided training and employment opportunities to Aboriginal people through general employment opportunities, school-based traineeship programs, apprenticeships, traineeships, cadetships, scholarships and a graduate program. Eastern Guruma and JSW partnered to provide reverse circulation grade control and hydrogeological borefield drilling services for Fortescue Metals Group, employing 32% Aboriginal trainees and qualified drillers across Solomon, Christmas Creek and Cloudbreak Mines. The reverse circulation grade control drilling program required approximately 21,500 metres drilled per month across the Chichester’s (Christmas Creek and Cloudbreak Mines), along with 8,100 metres drilled per month at the Solomon Mine. The hydrogeological borefield drilling program includes the provision of dual rotary, mud rotary or dual tube flooded reverse rigs and other rigs required to provide water bore contraction services. The contract also involved the supply of labour, equipment, supervision, tools, technical recommendations and technical drilling and engineering support, to carry out the drilling program. 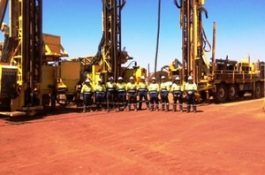 Eastern Guruma together with JSW have established a training program operating since 2013, to employ and train Aboriginal people to gain a Certificate II in Drilling Operations and other relevant training qualifications. These include HR driving licences, apply first aid, four-wheel drive, forklift, work safely at heights, white card, telehandler and back hoe. 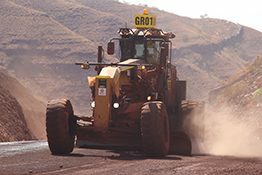 Eastern Guruma was recently awarded construction of a 2.8 kilometre all weather sealed road at Rio Tinto’s Silvergrass Mine. 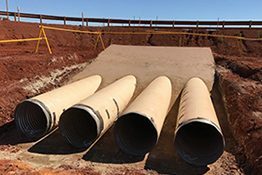 Designed for light vehicle access from Jerriwah Village to Rio Tinto’s site offices, the Project requires relocation of existing process plant wastewater treatment spray fields and construction of an overland conveyor tunnel from precast concreate units. The overland conveyor tunnel is to be constructed during scheduled shutdown period, to minimise disruption to mining activities.